Let CABBI help your business thrive in 2019! 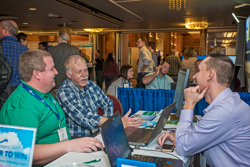 Join us at our annual InnSpire Conference & Marketplace, and take advantage of this chance to exhibit your product or service directly to bed & breakfast and boutique inn owners and future owners on the west coast. Meet one-on-one with the decision-makers by joining us January 28, 2019 at the Hyatt Regency Sonoma Wine Country in Santa Rosa, CA.